The winter can be magical and beautiful in equal measure, but as a car owner, it can also be hazardous and a real tax on your vehicle. If you do the proper preparation however, there is no reason to worry about the perils of winter car maintenance. To help you out, here is a winter checklist for car owners. If you live in a colder climate, you need to make sure that you have a vehicle that gives you the best chance of staying safe on the road. 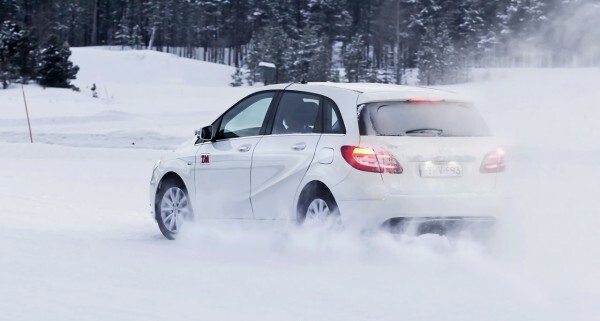 Snow tires are an excellent place to start. You are going to need your wipers this winter, wherever you live, and you’ll also need good washer fluid. Make sure that your fluid is a non-freezing kind, and if it snows, check to make sure no ice or water gets in the fluid, or it’ll freeze up. Buy an ice scraper to keep in your car, along with some gloves to wear when you are clearing the ice off the car. You might also want to buy some de-icing spray to put on your windshield each night to prevent the frost. Keep a kit filled with emergency items in the trunk of your car. Include food rations, a blanket or two, hand warmers, ice melt, and a small handheld shovel. This could save you if your car breaks down in the cold weather, or you get snowed in somewhere. You need good, working brakes any time of the year, but no more so than in the winter. Get your brakes checked and replace the brake pads if necessary. Visibility can be poor when the weather is bad, and the nights are longer, so good headlights are also important to check each winter. If they seem to be starting to dim, replace them before they go out altogether. Few things are as important as good heating this winter, so make sure that it’s working before you get frozen stiff this winter.